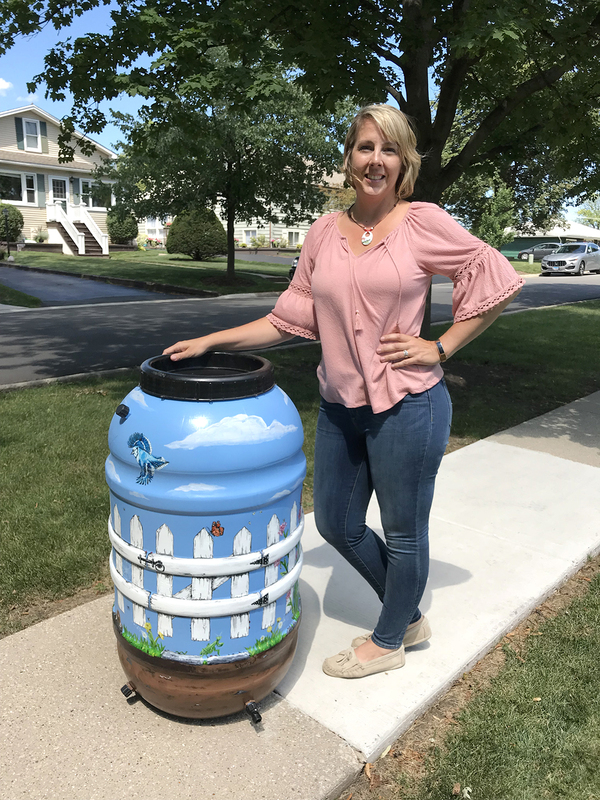 Westmont resident and artist Jenny Babyar recently painted and donated a rain barrel to the Environmental Improvement Commission in support of Richmond Education Gardens and Apiary project, located at 1 S. Richmond, Clarendon Hills. Richmond Gardens is a joint project between Clarendon Hills and Westmont that will provide a location designed to promote educational programs about the importance of our environment. "I saw the enthusiasm for Richmond Gardens and thought I would offer to help," said Babyar. "It's a great project and I'm excited to be a part of it." Raffle tickets will be sold at various community events. For more information regarding Richmond Education Gardens or the rain barrel raffle, contact us at info@richmondgardens.org.